Greg is a 14 year old from Hixson, Tennessee, who has spent 84 nights at our Ronald McDonald House over the last two years. Greg received a concussion while playing football at the age of 10, causing nausea so debilitating that he was unable to attend school, read, or even ride in a car. For two years, Greg and his mother, Sue, traveled around the country to various doctors to find answers. Doctors put Greg on a number of migraine medications but the nausea never let up. Day after day, he felt extremely sick to his stomach with no relief. Greg had developed an abdominal migraine and was diagnosed with Post-Concussion Syndrome. Sue joined an online support group for children with similar symptoms and learned how hyperbaric oxygen therapy could be beneficial. After doing research on where to receive treatment, she found that some hospitals charged as much as $2,000 for a single treatment, with a typical round of therapy consisting of 40 treatments. The lowest cost treatment she could find was $275 and more than three hours away, until she found the Patriot Clinic in Oklahoma City who would provide Greg’s treatments at no charge to their family. 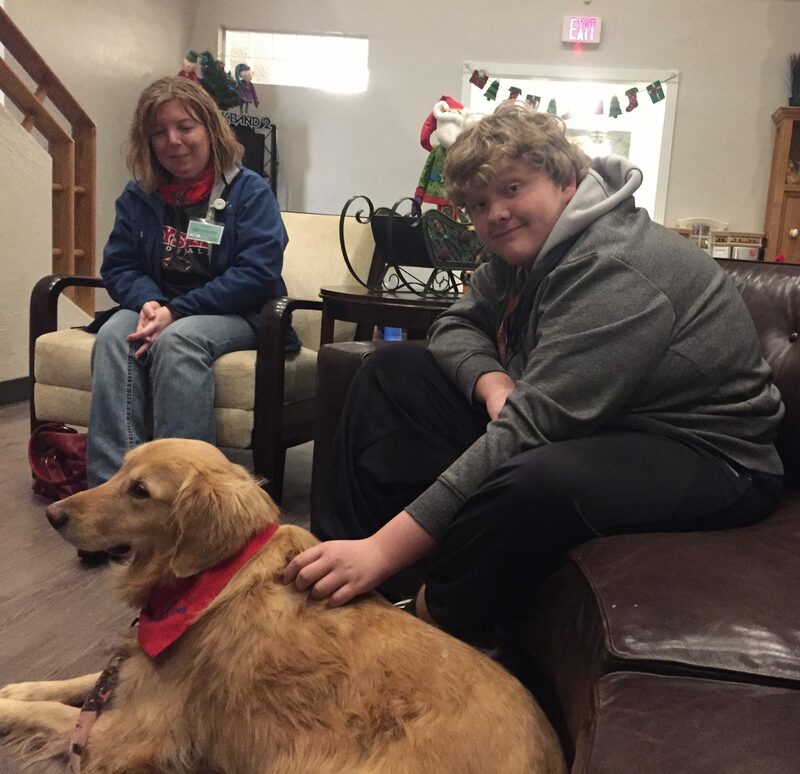 During his outpatient treatments which lasted nearly 16 weeks, both Greg and Sue stayed at the Ronald McDonald House in Oklahoma City, leaving his dad, brother, and dog back home. During his first round of treatments, Greg’s nausea went away completely. For once he was able to experience a normal teenage life by going to school and having the opportunity to interact with friends. Only 16 months later, the daily nausea started again. Greg and Sue traveled back to Oklahoma City so Greg could receive another round of treatments. Greg received 25 treatments during their 7 week stay, feeling relief much quicker this time. They went back home a couple of weeks before Christmas and Greg still has not experienced any nausea. Sue is hopeful that maybe this will be the last round of treatments. Instead of worrying, they are living one day at a time enjoying the moments that Greg is feeling like a normal teenager.